In only a 45 minute drive from Henderson, you can transport yourself to a place so stunningly different, you would swear you were on a different planet. 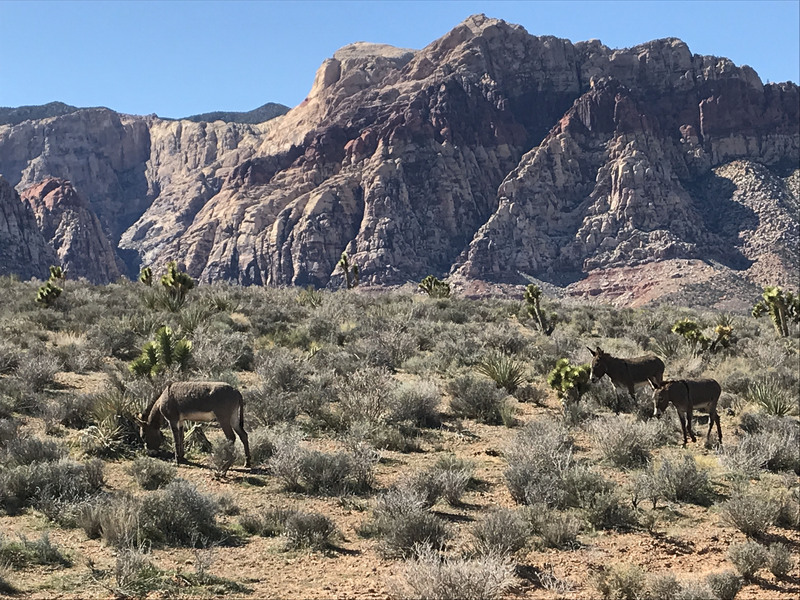 Red Rock National Conservation Area covers 195,819 acres of the Mojave Desert and you can find 26 hikes throughout the Area. The location is also an international rock climbing destination. You’ll want to look closely at the rock faces… you just might see someone in the distance climbing! If mountain biking or road cycling is more of your style, check out the Bureau of Land Management’s tips for bikes at Red Rock National Conservation Area. 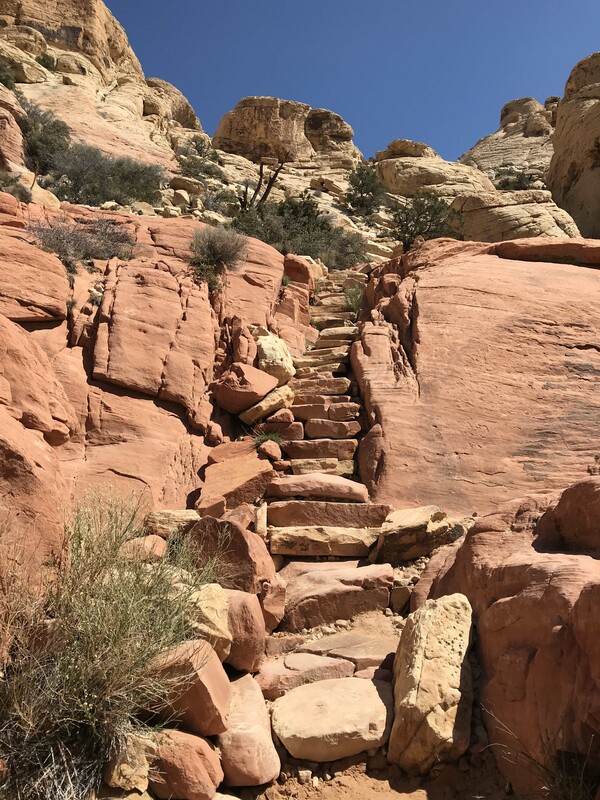 We chose to hike the Calico Tanks Trail, which is rated as the #1 trail on Alltrails.com inside of the Red Rock National Conservation Area. This trail is 2.2 miles, and rated as moderate-strenuous. The traffic on the trail is heavier. Dogs are permitted on a leash, however there are no water sources on the trail, so always make sure to bring more than you think you need. The trail incorporates lots of rock scrambling and technical foot work that will make you feel like a kid again! 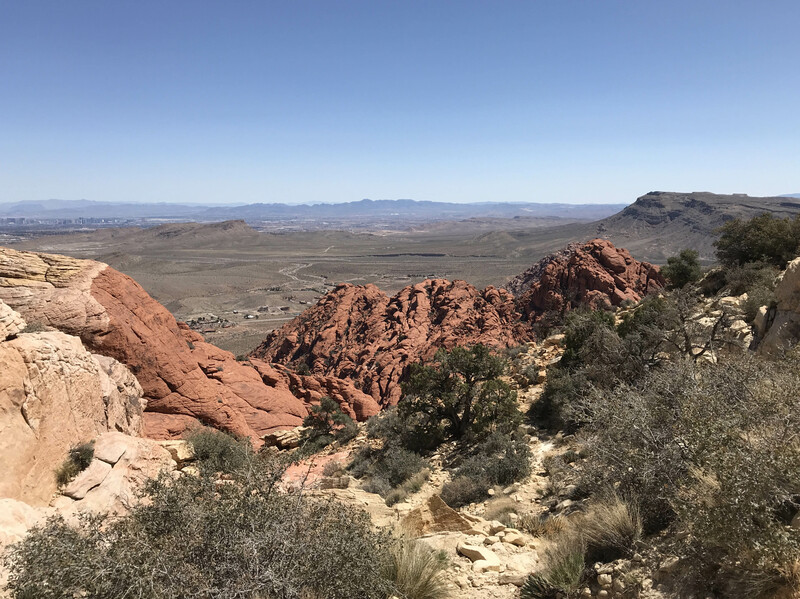 Towards the end, you’ll come across a water pocket (tank) and ultimately you’ll be rewarded at the trail end with sweeping views of the Las Vegas Valley… you can even see Henderson! It’s best to go on a clear day (fortunately we have lots of those here), wear good shoes, take sunscreen & a hat, and again – lots of water! Want to simply take a scenic drive? Red Rock National Conservation Area has a 13 mile paved loop perfect for taking visitors on. There is a fee to access the loop, and note that military families receive free access. Looking to stay awhile? The Red Rock Canyon Campground is just down the road offering rustic accommodations. 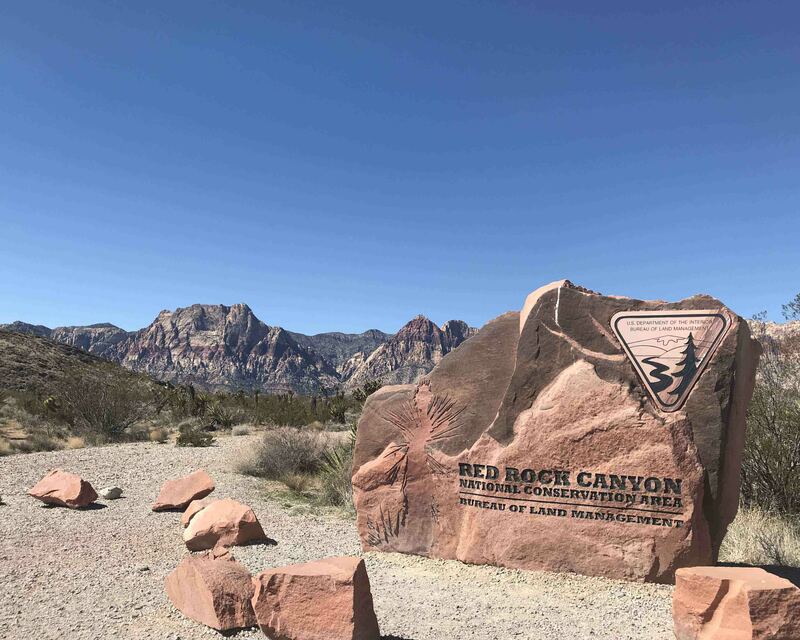 Regardless of what kind of adventure you’d like to have, there is something that will fit what you’re looking for at Red Rock National Conservation Area! And don’t forget to keep an eye out for the wild burros. If you’re looking for a bite to eat after adventuring, check out The Cottonwood Station Eatery in the historic tiny mining town of Blue Diamond – since it’s a conservation area, they can’t put up signs for the eatery at the main road, but it’s a small enough town it won’t take long to find it! It’s my favorite place to go after hiking and they have great thin crust pizzas, Thai broccoli salad, and local craft beer. Don’t forget to check out their wall that showcases the history of Blue Diamond. Red Rock National Conservation Area is full of adventures!